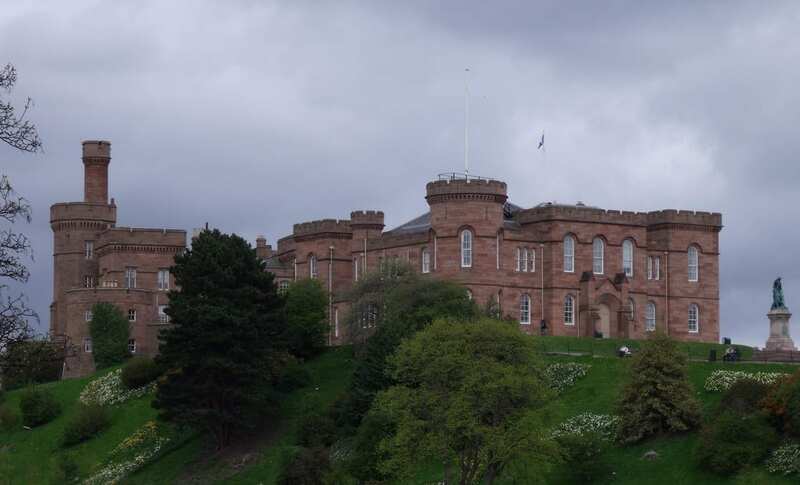 The red sandstone buildings of Inverness Castle can best be viewed from the opposite bank of the River Ness. It is lit up at night and provides a beautiful backdrop for an evening photo. Its newest attraction is The Castle Viewpoint. Here you can see a full 360 degree panorama of Inverness from the viewing platform. Information of what to look out for is provided along with some historic information on Inverness and the Castle including myths and legends. Most of the castle is in use today and is not open to the public but the Tower with its Viewpoint and the grounds are open in the summer months.